Simon & Schuster, 9780743264426, 288pp. The Trojan War is one of history's most famous conflicts, a ten-year-long war waged over the beautiful Helen. For more than two thousand years this story has been a source of artistic inspiration. But is it true? In The Trojan War historian and classicist Barry Strauss explores the myth and the reality behind the war, from Homer's accounts in The Iliad and The Odyssey to Heinrich Schliemann's discovery of ancient Troy in the late nineteenth century to more recent excavations that have yielded intriguing clues to the story behind the fabled city. The Trojans, it turns out, were not ethnic Greeks but an Anatolian people closely allied with the Hittite Empire to the east. At the time of the Trojan War the Greeks were great seafarers while Troy was a more settled civilization. And while the cause of the war may well have been the kidnapping of a queen—and, more significantly, the seizure of her royal dowry—the underlying cause was a conflict between the Trojans and the Greeks for control of the eastern Aegean Sea. Through vivid reconstructions of the battles and insightful depictions of its famous characters, The Trojan War reveals the history behind Homer's great epic, without losing the poetry and grandeur of the epic myth. 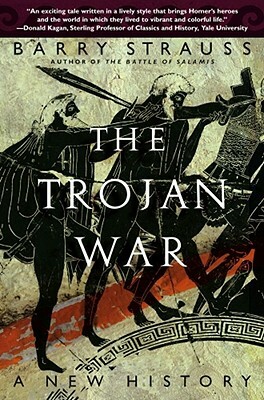 "The Trojan War is a lyrical, entrancing book, ringing with arms, and also with truth." "A must-read for anyone interested in war, history, or ancient times." "An exciting tale written in a lively style that brings Homer's heroes and the world in which they lived to vibrant and colorful life."